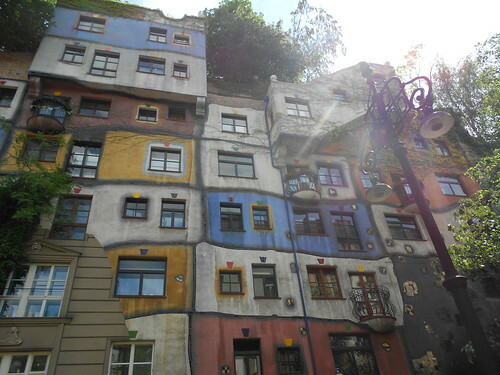 Meghan is a huge fan of Fridensreich Hundertwasser, the Austrian artist, designer, and architect. 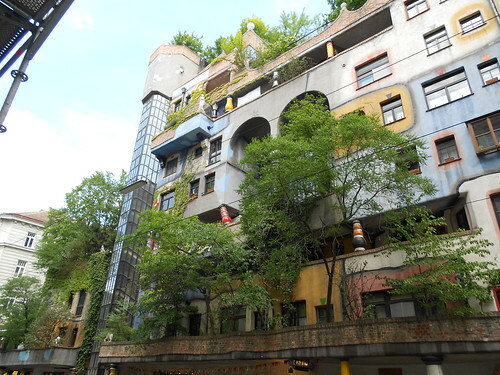 We visited the Hundertwasserhaus, and this work really is quite striking. 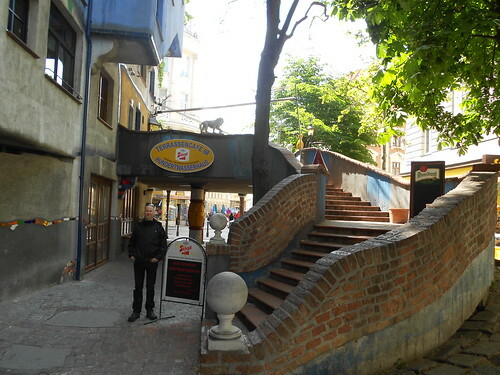 The Terrassencafe is on the first floor of the Hundertwasserhaus apartment building, which makes it perhaps the first pub in my travels that exists within a work of art. 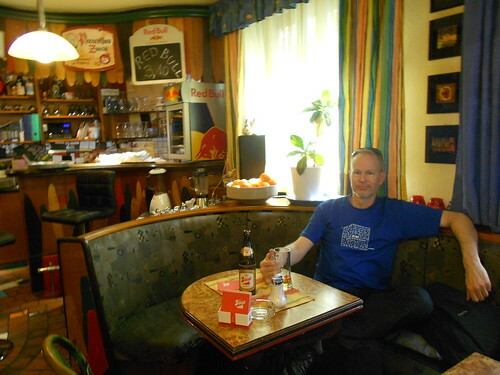 I am wearing my official tour of Eastern Europe t-shirt, which features Bratislava, Wien (Vienna), Praha (Prague), and Budapest laid out in a maze. I drank a Stiegl Goldbräu premium lager. 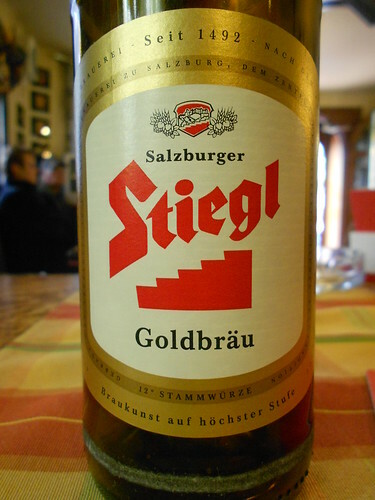 Stiegl is an Austrian brewery near Salzburg founded in 1492.